Step into garages of today or the past and most of them look much the same, the metal is rusty, the paint is peeling, but we don't want to throw away these special items we have grown to love. These adhesive embellishments can be used as backgrounds, layers, etc. 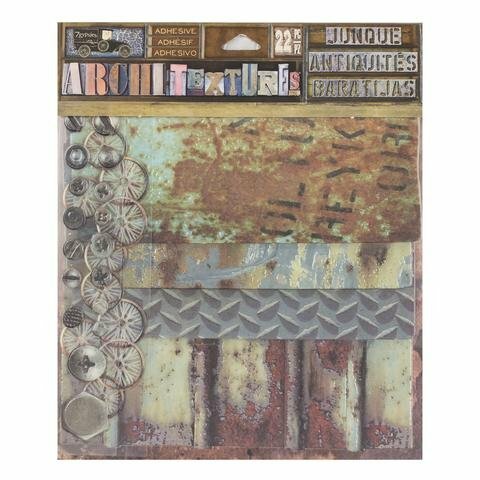 for cards, layouts, mixed media projects, craft projects, shadow boxes, journal covers, books, junk yard projects and so much more. Use them as they are or you can tear, die cut, fold, cut and more.